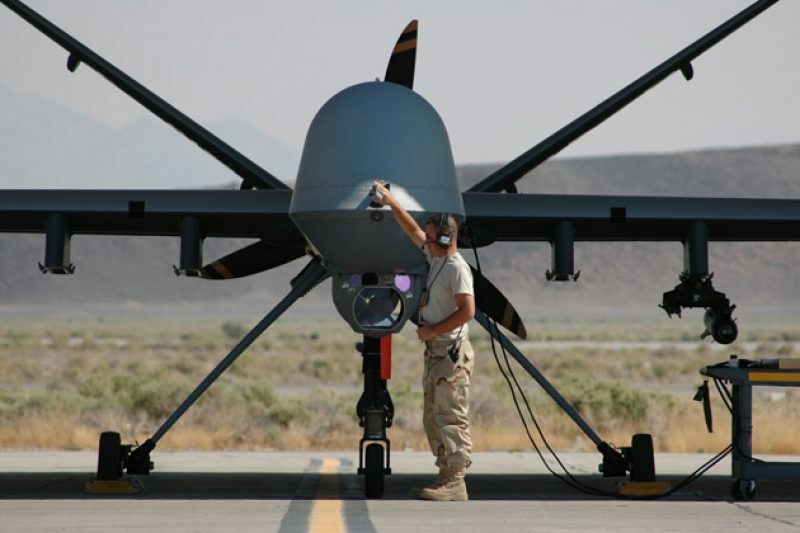 The government has rebuffed attempts by the American Civil Liberties Union and The New York Times to obtain documents related to drone strikes and targeted killing. We lay out their argument. The covert U.S. effort to strike terrorist leaders using drones has moved further out of the shadows this year — targeted killing has been mentioned by President Obama and defended in speeches by Attorney General Eric Holder and Obama counterterrorism adviser John Brennan. The White House recently declassified the fact that it is conducting military operations in Yemen and Somalia. But for all the talk, the administration says it hasn't officially confirmed particular strikes or the CIA's involvement. Over the past year, the American Civil Liberties Union and reporters at The New York Times have filed several requests under the Freedom of Information Act seeking information about the CIA's drone program and the legal justification for attacks that killed terrorists and U.S. citizens. The government answered with a Glomar response — neither verifying nor denying that it has such documents. So both the Times and the ACLU sued, claiming that there is widespread acknowledgement by government officials of drones and targeted killing, as well as the CIA's involvement. Last week, the Justice Department submitted a motion in a federal court in New York seeking to dismiss the lawsuits. The government's argument, it turns out, mostly reiterates its Glomar response. Any public statements by the administration, the motion states, were carefully phrased to avoid discussing specific operations and don't constitute official acknowledgement of targeted killing or the drone program. This includes Obama's statements on the killing of U.S. citizen Anwar Al Awlaki — "the President plainly did not acknowledge whether the United States was responsible for his death" — and Holder and Brennan's speeches this spring, which, according to the motion, address only the "potential targeting" of U.S. citizens, but not specific operations. Finally, the government's brief adds that a few of the documents sought by the FOIA requests could be identified but are protected under executive privilege — because they involve internal deliberations in the Office of Legal Counsel, or are related to preparations for public statements by administration officials or meetings with the president. The ACLU's deputy legal director said that the organization is preparing its opposition brief. A federal appeals court will hear arguments in September in another of the ACLU's FOIA lawsuits over the CIA's drone program. Cora Currier was a reporting fellow at ProPublica and previously on the editorial staff of the New Yorker. An Atomwaffen Member Sketched a Map to Take the Neo-Nazis Down. What Path Officials Took Is a Mystery.